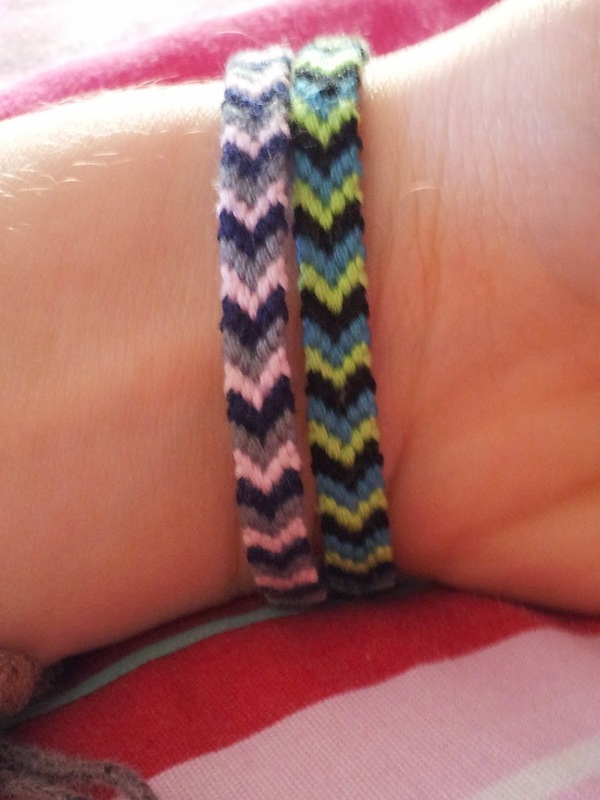 So here are two pictures of one of the bracelets that I have made. 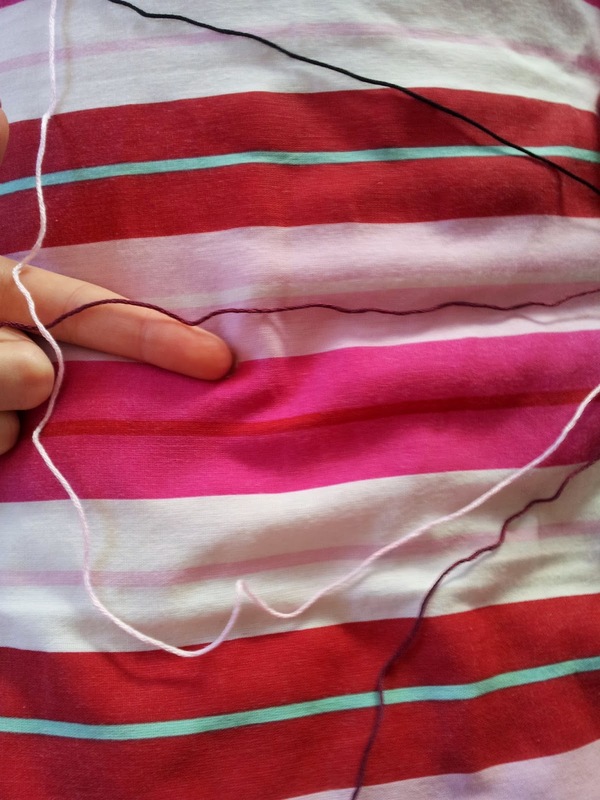 First of all, you need to measure out around 68inch of embroidery thread of at least three different colours. 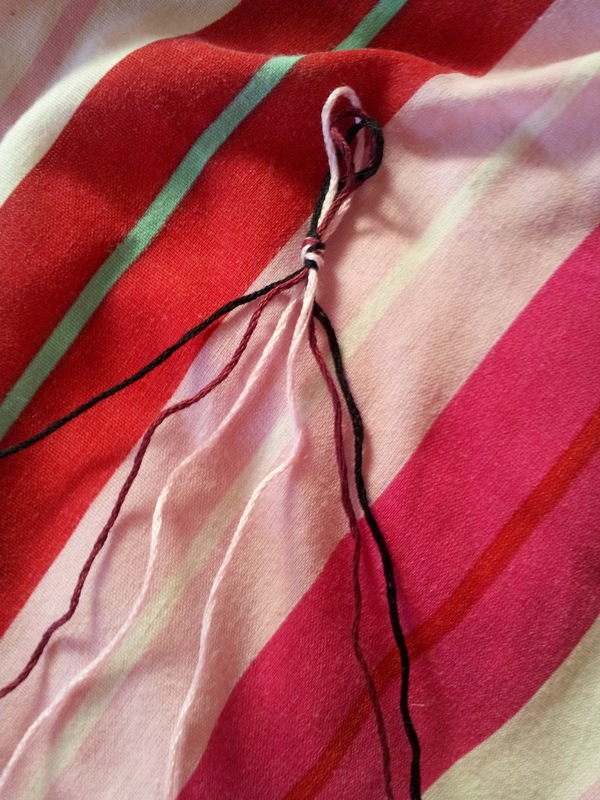 Then fold the pieces of string in the middle, just like it's shown in the picture above. 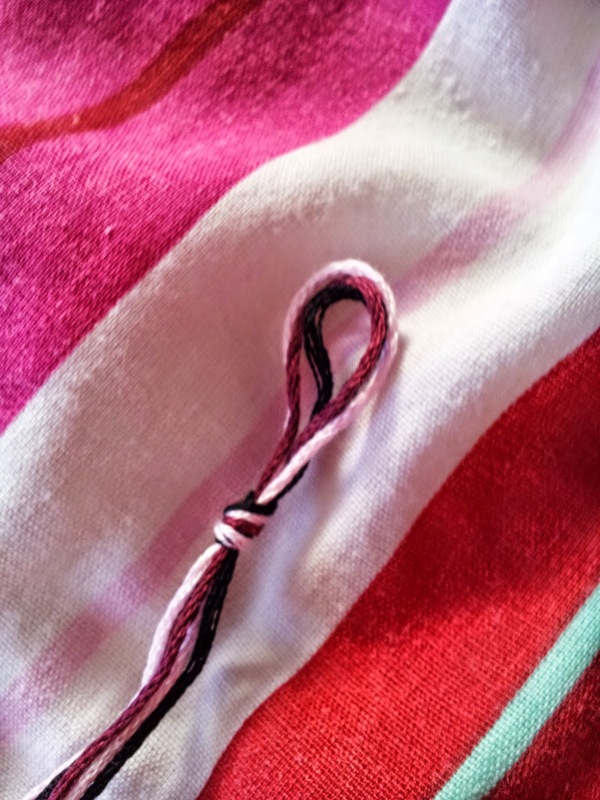 Make a small loop, but big enough to tie when you're done with your bracelet. 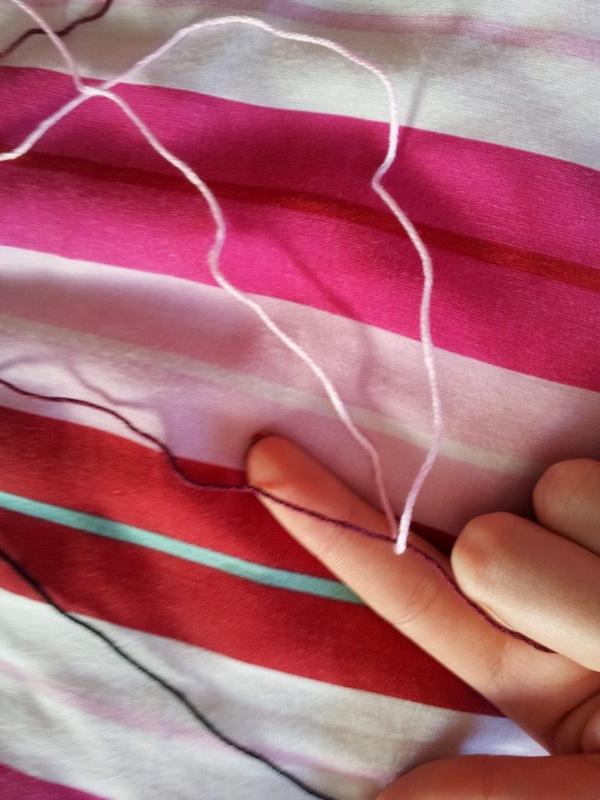 Separate the colours out so they are opposite each other. 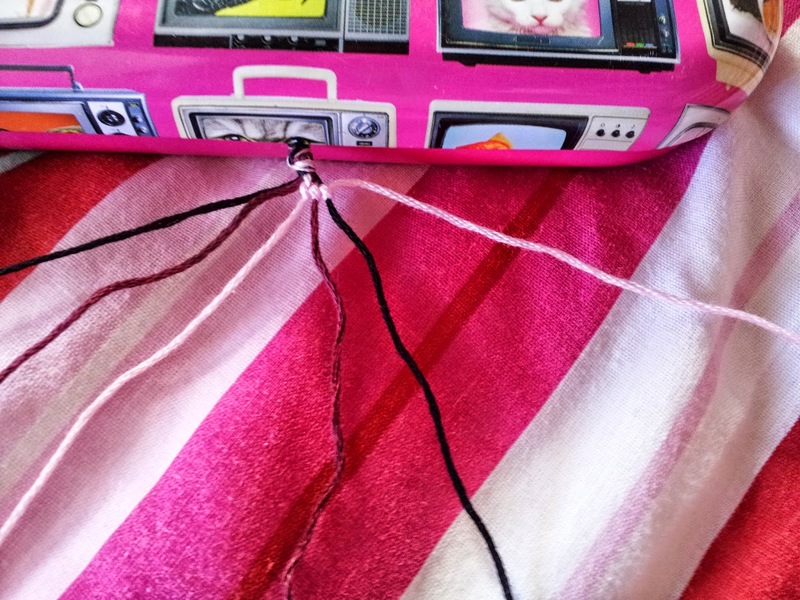 I have put the pink strings in the middle, the burgundy after and the black on top. 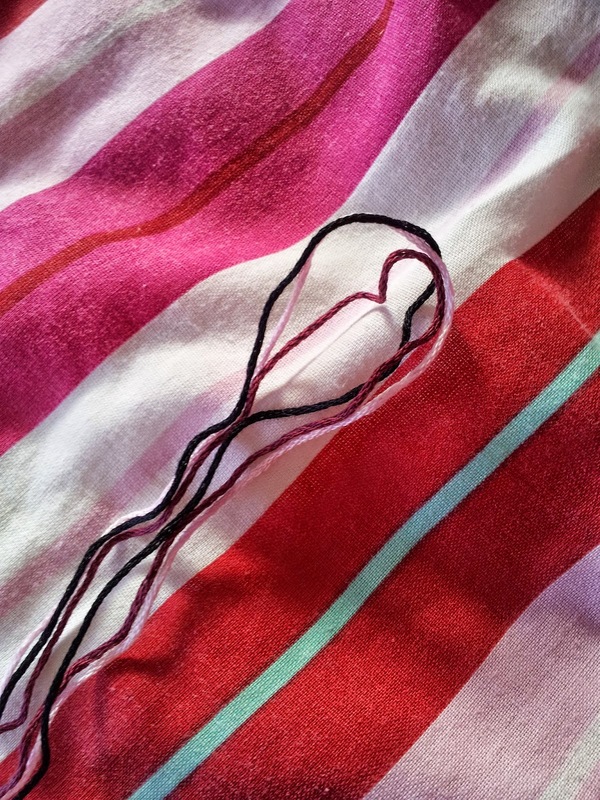 The order will change every time you make a row of the pattern. 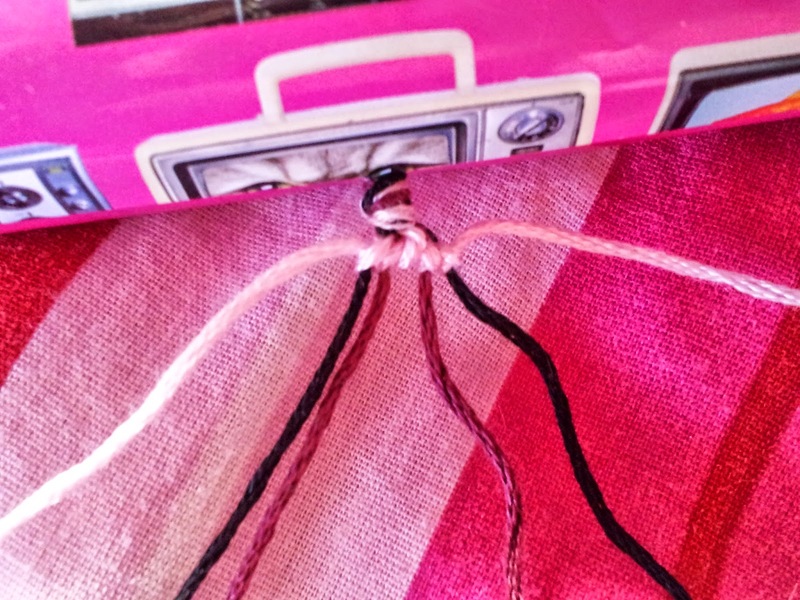 Take the string on the right side and create a reverse 'L' shape over the string on the left. 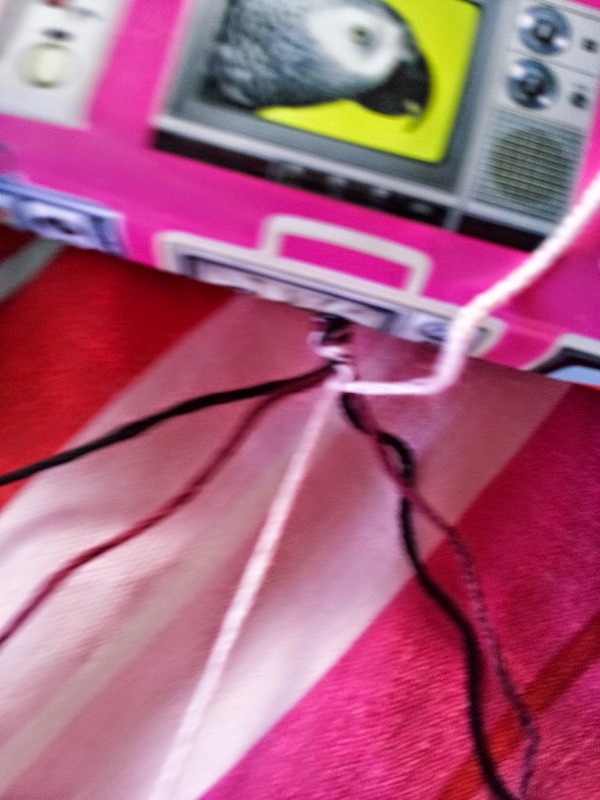 Then take the end of the 'L' shaped string and take it under the string and pull it through so it comes out on top. Now it is nice and neat. 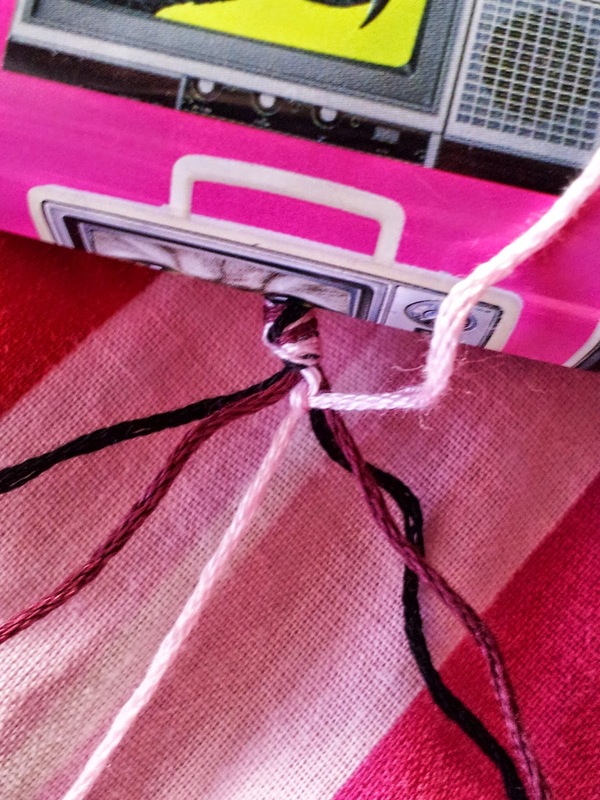 Now carry on with the rest of the strings on that side. 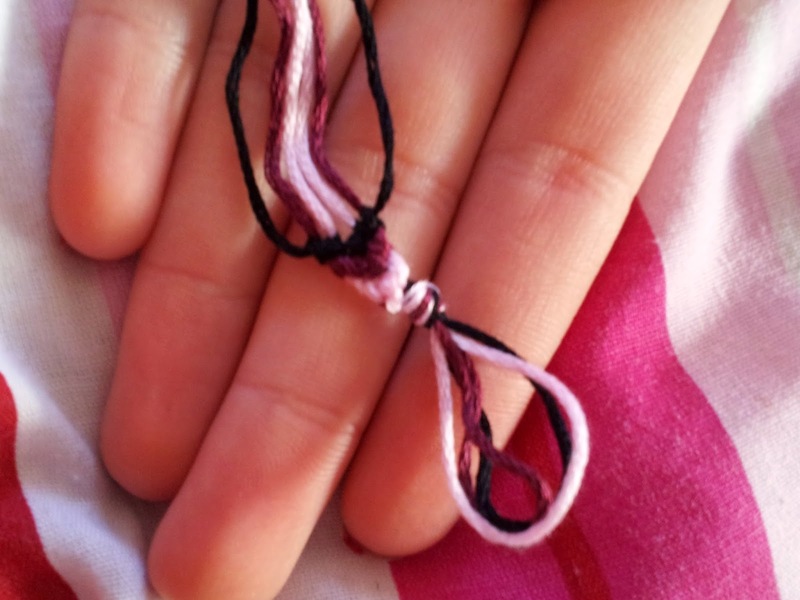 And then change the direction and do a normal 'L' shape an do the same. 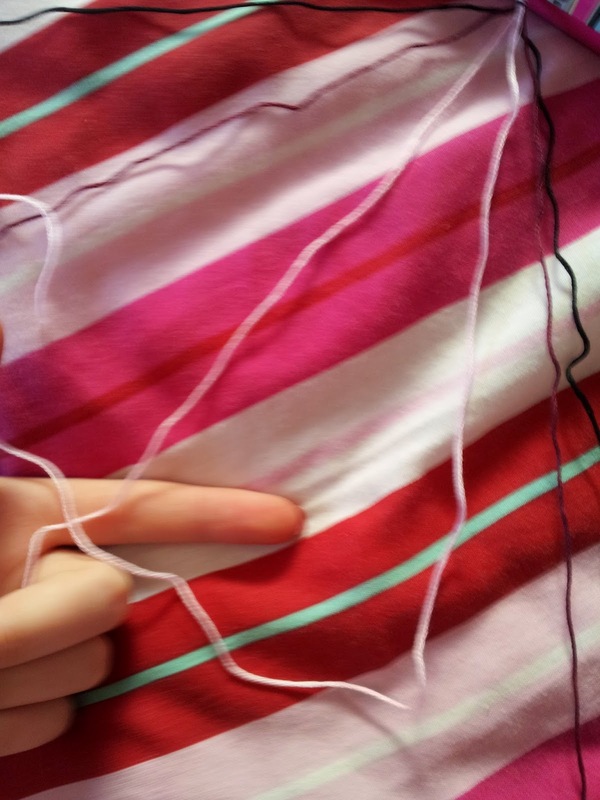 This is what one of the sides should look like when done. 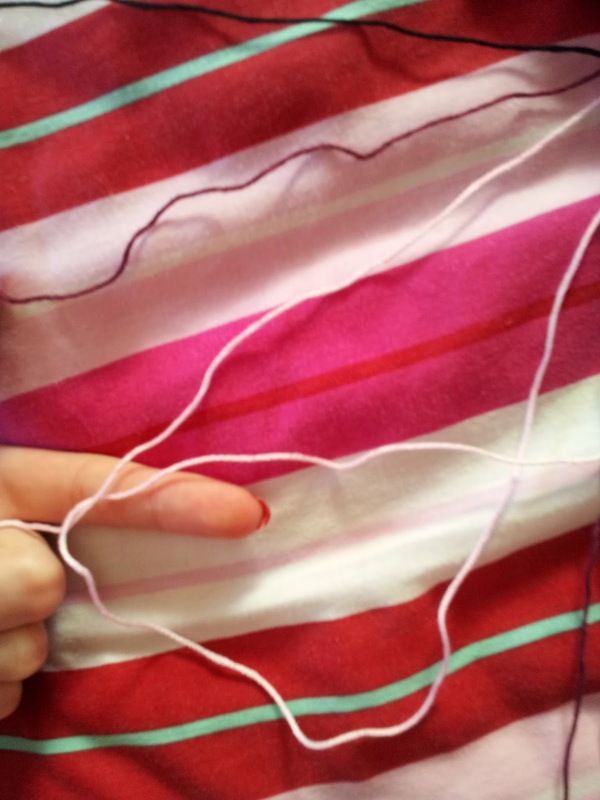 And here is a snap of what a whole row looks like. 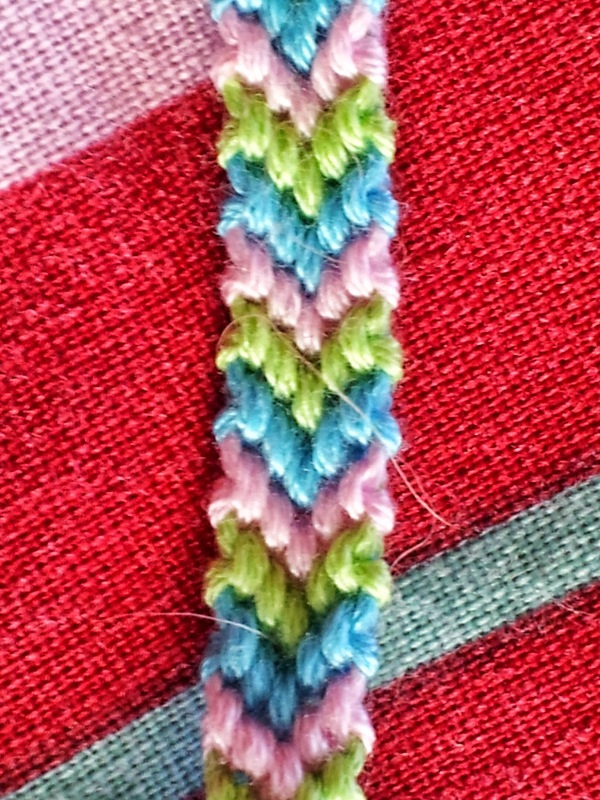 Here you can see how the pattern is going to look so just carry on until you've reached the perfect length to go around your wrist/ankle. 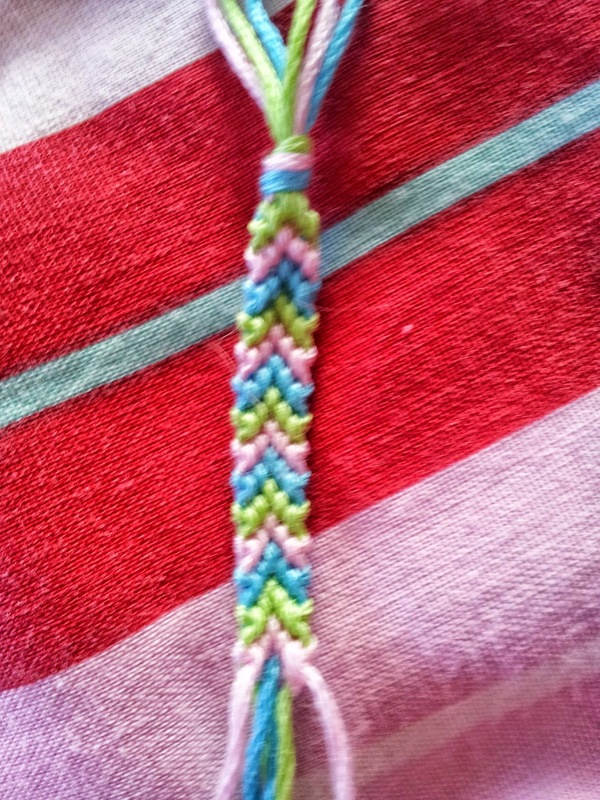 And this is how the bracelets should look like when finished :) I hope this wasn't too complicated, you can always watch a YT video on how to make a Chevron bracelet!